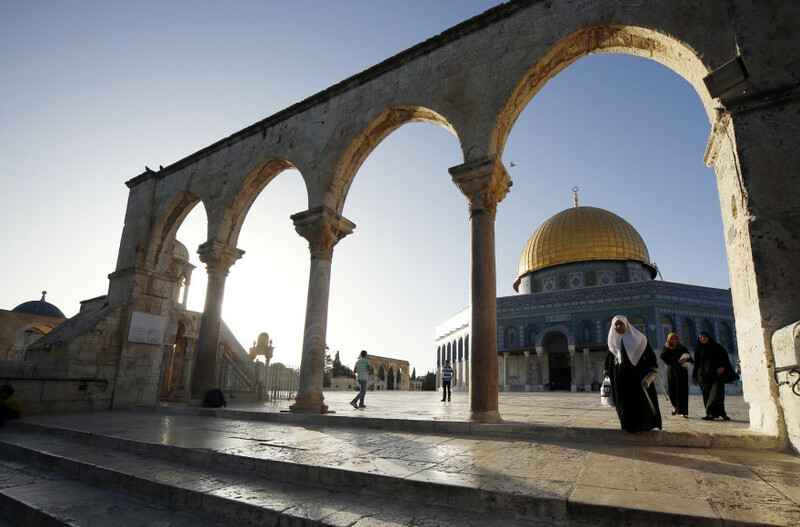 JERUSALEM (JTA) — The Temple Mount was closed to visitors following rioting by Palestinians there but was reopened later in the day. One Palestinian man was wounded in the rioting on Wednesday morning by a sponge-tipped bullet fired by Israeli forces. The security forces, who were pelted with rocks and firecrackers, pushed the rioters into the Al-Aksa Mosque on the site, from where they had launched their attack using stockpiles of makeshift weapons stored there. A Palestinian manager of the mosque told Reuters that Israel Police officers entered the mosque itself, which the police deny. Arab-Israeli lawmaker Hanin Zoabi, who has been suspended from the Knesset for six months over statements she made, among other things encouraging Palestinian “popular resistance,” challenged police after being refused entry to the site that is holy to both Muslims and Jews. “Someone did this to you, decades ago. Remember that? Somebody did rule over you and screwed you over decades ago. You did not learn the lesson,” she reportedly yelled at police. Zoabi and several other Arab-Israeli lawmakers who had been prevented from entering the Temple Mount were allowed to continue to the site later on Wednesday when it was reopened to worshipers and to the public. Several hours after the Temple Mount rioting, a Hamas-affiliated Palestinian man from eastern Jerusalem slammed his car into crowds waiting at a light rail stop and a bus stop in Jerusalem in what is being considered a terrorist attack. One person was killed and more than a dozen people were injured. The driver then exited his car and began hitting people around him with a crowbar until police shot and killed him. Jordan on Wednesday recalled its ambassador to Israel “to protest against the unprecedented and escalated Israeli aggressions at the Al Haram Al Sharif compound in occupied Jerusalem, and its repeated violations in the holy city,” according to Petra, the official state news agency.